Music prevails in all facets of life. Listening to a soothing melody is the best way to eliminate stress from our mind. A good MP3 player creates an experience of ecstasy in the heart of every music lover. There are many MP3 players available for different gadgets. You can categorize and save hundreds of MP3 songs and listen to them whenever you want. Most of these applications allow users to play audio files directly from the internet. You can easily find latest MP3 player software free download links from all over the internet. However, applications like Media Monkey are the best choices for experiencing high quality sound. You can not only play MP3 songs, but also listen to other formats. WiFi synchronization is also available in this software. The experience of using an MP3 player is not limited to sound quality. Music Players like AIMP are also known for their visual charisma. You can reduce the data wastage, by limiting the number of attempts to secure a good connection for the internet radio. 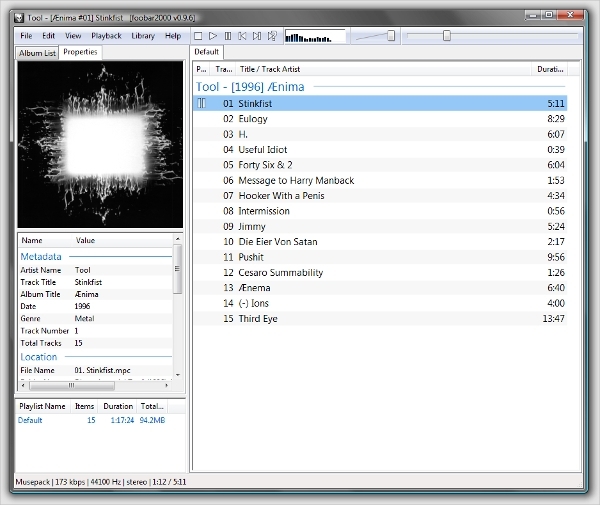 This software can also detect and delete non-existing files from the playlist. 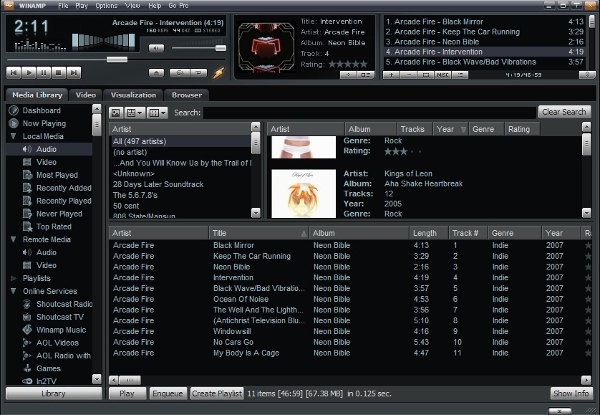 WINAMP is one of the best and most popular MP3 desktop players in the world. It is compatible with WIndows and MAC. You can easily tune in to different internet radio stations, using this splendid software. 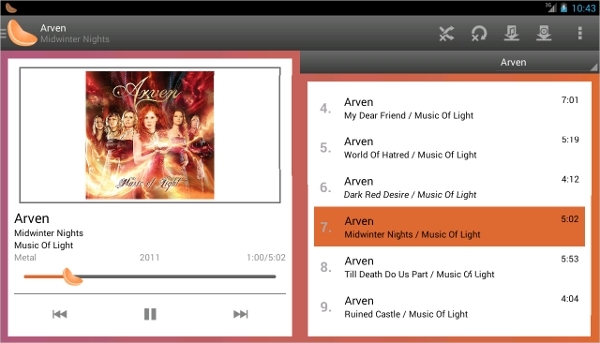 It not only supports MP3, but also plays other audio extensions and video files. MP3 Player software is available for all devices and platforms. No matter which OS are you using, it is easy to find a compatible player. Most of these players will work on different platforms. You can play, store, arrange, and delete entries easily. To know more about the features and details, read the following descriptions. This is a free software specially designed for Windows users. It supports virtually all the popular audio formats. This way, you don’t have to seek external support for listening recordings and CD songs. You can also customize the user interface for better access. 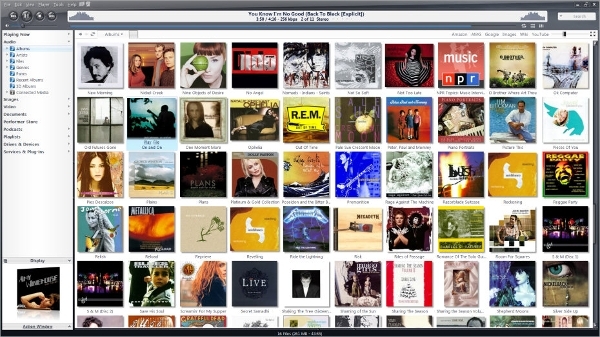 Gapless playback is one of the main features of FOOBAR2000. 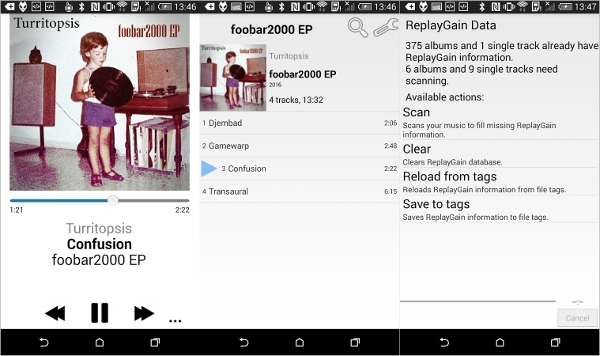 This version of FOOBAR2000 can be used in Android devices. This upgraded version supports various audio formats. You can shuffle, repeat, and create endless loops on this amazing software. You can change the skin and the color of this player easily. It can be downloaded directly from Playstore without paying any money. When it comes to MAC OS, iTunes is the best MP3 player available today. You can keep track of your favorite songs and listen repeatedly. It can be integrated to different apple gadgets including the Apple TV. 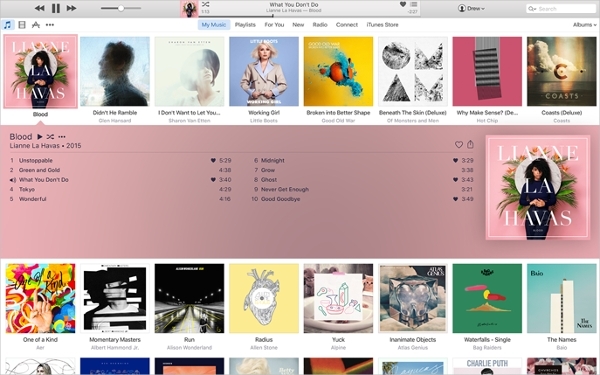 You can use the cloud storage facility of MAC to store and play songs whenever you like. Hundreds of MP3 players are available for all the platforms. Here are some of the most useful MP3 player software models for you – Jet Audio, VLC player, KMP player, 123 player, Media player, Music Zen player, MP3 tag, MP3 Jam, Audacity, and Audipo. You can even change the speed of audio in some of these players. No matter how big your music collection is, J River Media center can handle it without hassle. You can change the quality and pitch of the audio, using the exceptional control system of J River. It is possible to manipulate the original audio for enhanced effects. This software supports almost all audio formats. What is an MP3 Player Software? MP3 is a format mainly used for audio files. Almost all the audio songs in your phone and computer are MP3s. You will need a third party application to play and use MP3 songs. Finding an MP3 player software freeware from the internet is very easy. There are many benefits for MP3 players. You can shuffle and repeat the songs, you can also arrange folders according to genre, singer, and album. Most of these players contain integrated internet radio services. This will allow you to listen and record online radio anytime you want. These players can be used in computers, mobile phones, tablets, and other gadgets. You can search the MP3 player software free download websites to know accurate details about software installation. There will be step by step instructions to help you through the process. Different installation methods are used for different operating systems. You can contact a software technician to get a better insight. Connectivity : You can directly play songs from the internet without downloading the file. This will save your disk space and time. Online Radio : There are hundreds of online radio stations all over the world. You can listen to online broadcasts using these amazing players. Integration : You can integrate the MP3 player on different gadgets and access the library from anywhere at any time. Library : It is very easy to create playlists and libraries on MP3 Players. You can categorize your music based on the genre, albums, or singers. After integration, you will be able to access these files from any gadget.